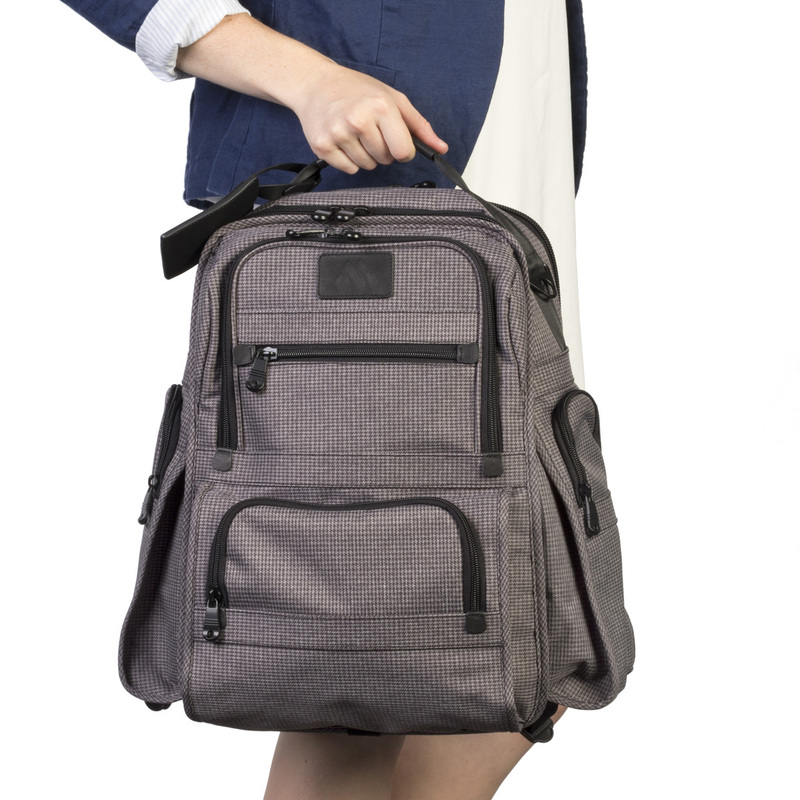 We’ve taken our Signature Business Backpack to the next level with the business traveler in mind. 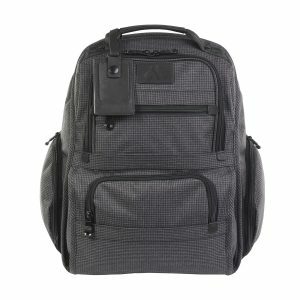 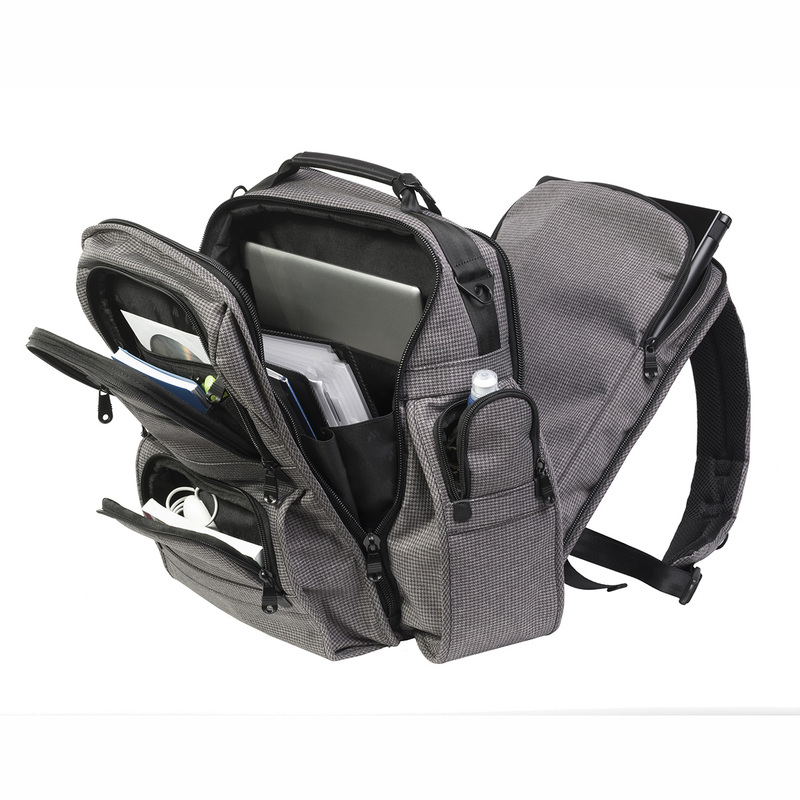 It features two exterior side pockets, an easy-pass laptop pocket for quick security screening, three center-balanced front compartments, and a large main compartment. 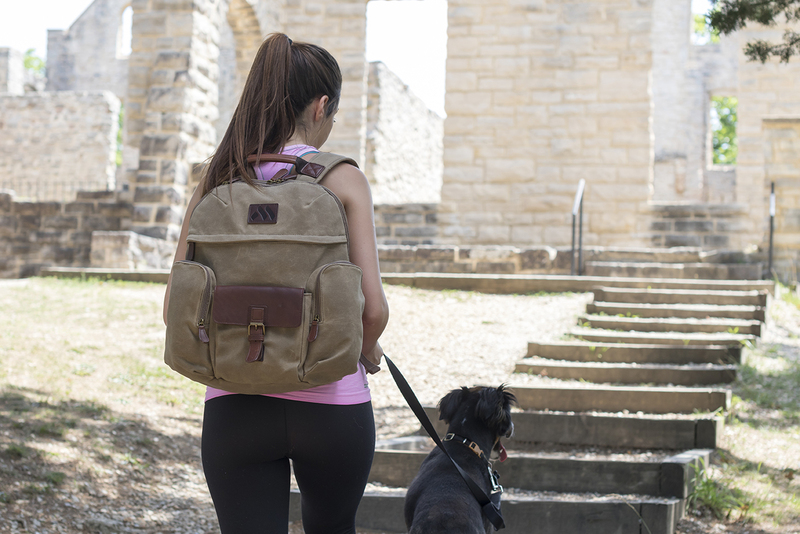 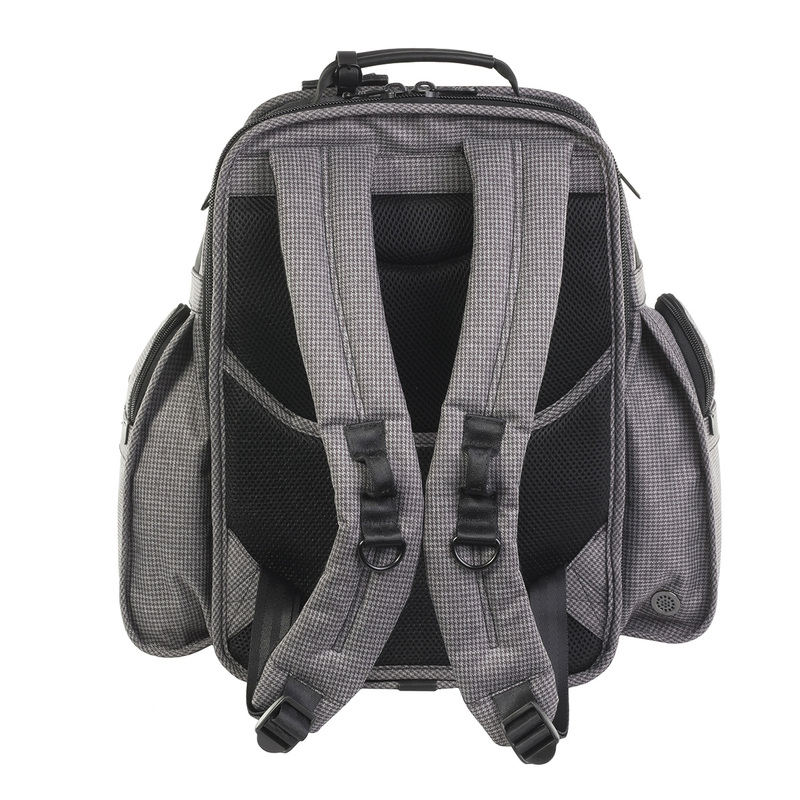 Comfort is carried throughout with our padded back panel and memory foam straps. 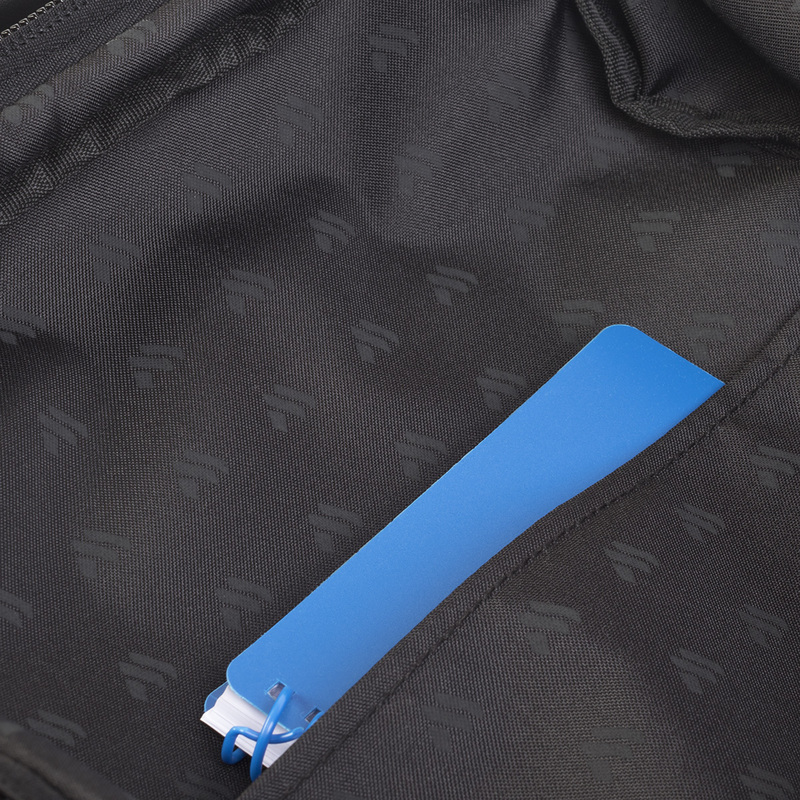 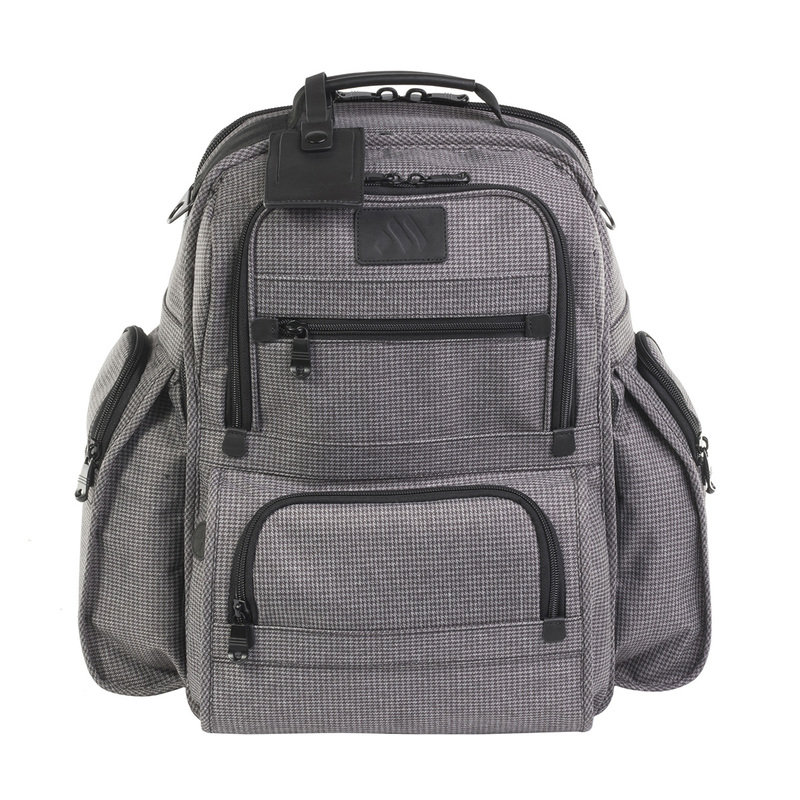 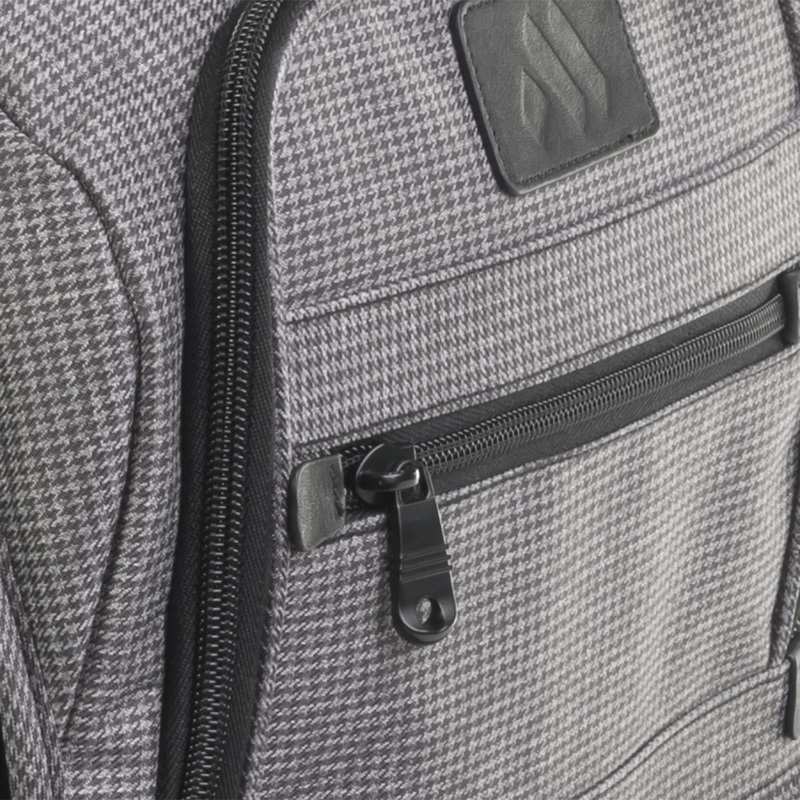 This quality, durable, lightweight construction completes this thoughtfully-designed backpack. 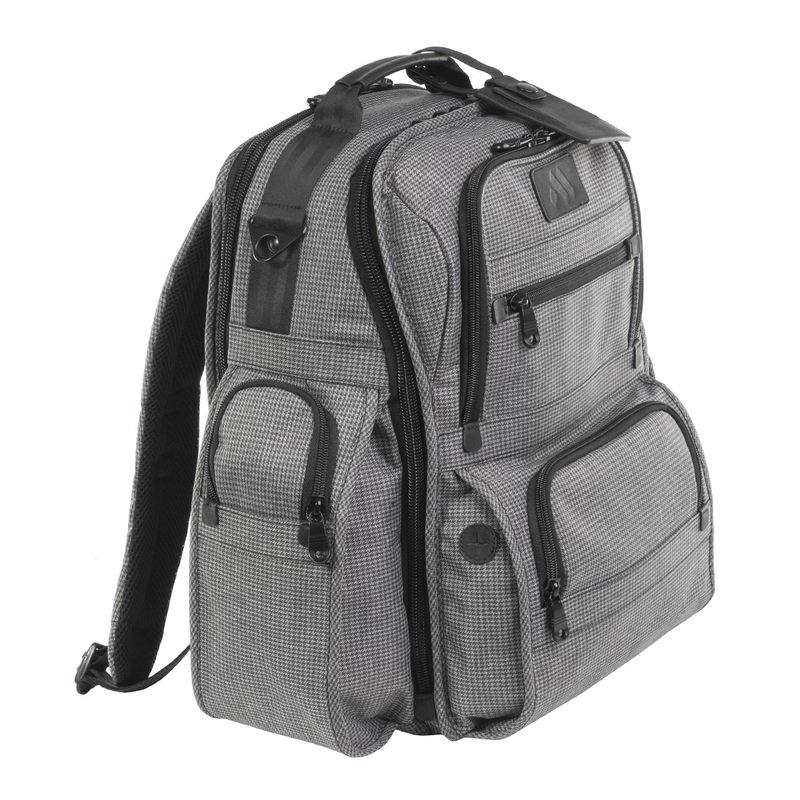 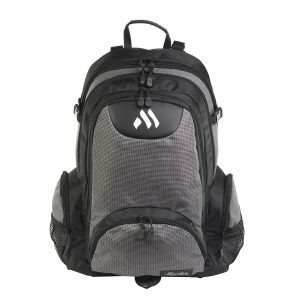 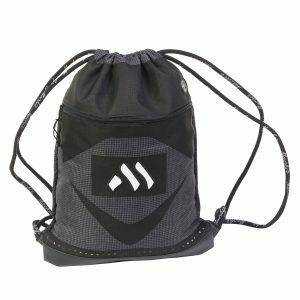 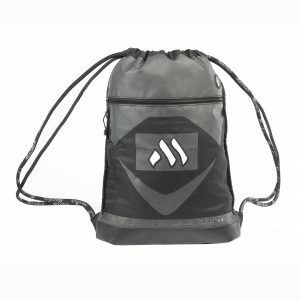 DIMENSIONS:	L:16.5" x W:5.5" x H:11.5"
MAIN COMPARTMENT:	L:15" x W:3" x H:11"